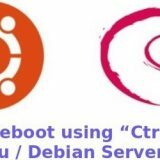 The first and foremost reason why linux servers are way ahead than the Windows servers are there completely free and available as open source software. By open source means, you can easily see the code available that was used for creating the Linux Kernel and also modify the code to fix any bugs etc. And you can even develop your own programs and add it to the Linux OS as it provides you with many programming interfaces. With so many features, you can customize the operating system to suit your requirement which is not possible with Windows. Linux systems are renowned for their ultimate stability as they can run continuously for years without any major issues. As a matter of fact, some linux users have never seen a crash in their Linux OS, whereas with Windows, hanging and crashing is a usual affair. And if you don’t have backup, you’ll run into serious issues in Windows operating system. Even though Windows does multi-tasking very well, it is Linux that can handle various tasks at once and still provide a rock solid performance. When it comes to security, Linux is obviously more secure than Windows as Linux is largely based on the UNIX operating system which was originally developed from the beginning to a multiuser operating system. With Linux servers, only the administrator or certain users have the permission to access the Linux kernel and that makes the server completely protected. And unlike Windows which is an easy target for viruses and malware applications, Linux Servers doesn’t get attacked frequently and any kind of vulnerabilities found are immediately fixed by an army of Linux developers. 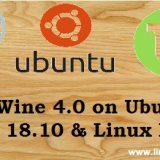 When you compare linux Servers with Windows Servers, generally Windows hardware need frequent upgrades, Linux OS is slim and doesn’t need any frequent updates and can perform exceptionally well irrespective of the system architecture or the processor. You can also completely reconfigure Linux to include only the services required for your website or your business and thus reducing the memory requirements to a great extent. Linux OS is the most flexible operating system out there as you can customize the system based on all your requirements. With Linux you can do whatever you want as you can install GUI interface or manage the server using a terminal alone. With Linux you are offered various tools and utilities to choose from to manage all your server related activities like adding users, manage the services and the network, install new applications and monitor the performance etc. Shell is the most powerful component in the Linux system as that allow you to run various other programs and also allows you interact the kernel. Overall, linux provides you the complete control over the server. When it comes to Total cost of ownership, nothing can beat Linux as the software is completely free. Even when you go for an enterprise version, it will cost you much less than Windows or any other licensed software. And these licensed software comes with their limitations including user-based licensing, expensive add-ons etc. 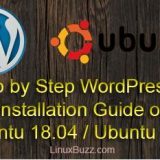 And with Linux you are not forced upon by products and services by commercial vendors as you are free to choose the products that suits your requirements. It is this kind of that freedom that has made even large corporations like Amazon and Google to choose linux based servers for their services. Linux opens up a world of possibilities for open source applications as there are thousands of open source applications out there that is waiting to be explored. You can even run a Windows application in Linux server with the use of a special interface. 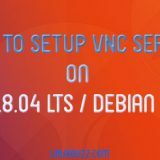 Unlike Windows Servers, linux servers can be easily modified and you don’t need to restart your servers after the changes has been completed. But for Windows servers, you can’t do the modifications and need to wait for the next version to be released. 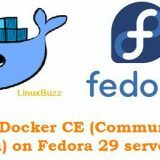 There is always a large and active community support available for Linux and any question you post in any of the Linux forums will get an instant response as there are always thousands of volunteers active online to solve the issues of other Linux users. There is also a paid support option available when you go for the Linux Enterprise version. Hope the above article has shed some light on the various reasons why even large companies like Amazon and Google are using Linux based servers. 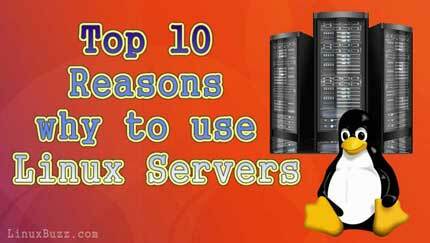 If you are using Linux servers, we’ll love to hear from you the advantages that you personally feel with Linux. Also please post your comments and suggestion in the comments section below and we would love to respond back at the earliest.